Our award system is designed to encourage participation in battles, award merit, and battlefield skill. In many units they are awarded solely for attendance. So everyone understands how soldiers originally earned these medals we have to fulfill the original award requirements. This medal system is designed to give us an authentic mix of the right medals. We do not want to have too few or too many of any medal and we want the medals to mean something. Basing medals on attendance alone is not going to improve our performance. Awarded for passing various sports tests. Over 800,000 were awarded by 1939 to men who were not members of the SA. We will use all of the original requirements. Awarded for passing various sports tests. We will use all of the original requirements. Awarded to the Pioniers for five battles (3 of them must have been assaults in accordance with German regulations). 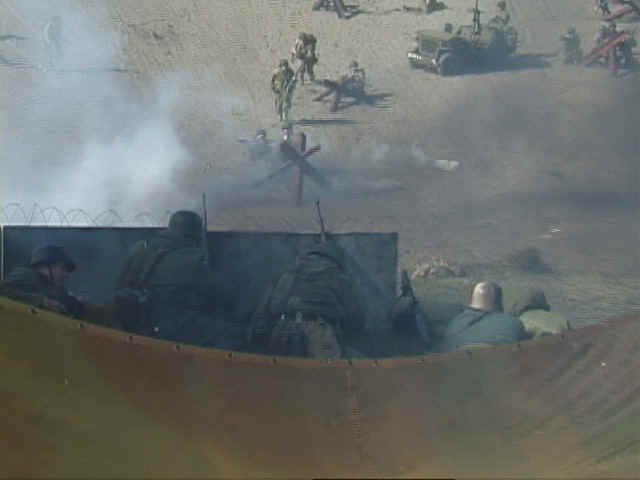 The original requirements state that you must take part in at least three assaults (includes counter-attacks, armed reconnaissance or restoration of the combat line) on three different days. 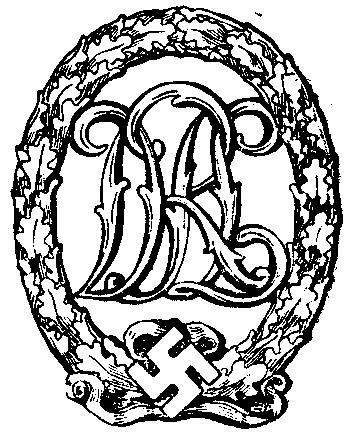 Awarded to the Panzerschützen in the Aufklärung Abteilung for 5 battles (3 of them must have been assaults in accordance with German regulations). The original requirements state that you must take part in at least three assaults (includes counter-attacks, armed reconnaissance or restoration of the combat line) on three different days. You must be part of an armored car or Panzer crew. 100 battles (25 of them must have been assaults in accordance with German regulations). Awarded for 1-2 wounds. Any wound requiring or not requiring professional medical attention. Cuts bad enough to produce a scar, strains and sprains and anything causing bleeding other than thorns. As things are now this is one of the rarer medals in most units. It should be the second most common one after the assault badge. If you are in combat you are going to get injured. 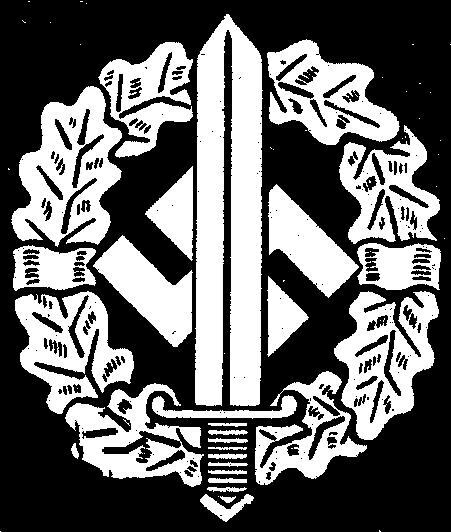 Many 2nd Panzer Division officers I have interviewed or received questionnaires from earned the Gold Wound Badge! By wearing all these assault badges and iron crosses without wound badges, reenactors are giving the impression that you can survive combat without getting a scratch. Awarded for wounds three and four. It could also be awarded for one severe wound. Awarded for five or more wounds. This is awarded for service and bravery not in direct connection with combat. The only soldiers to receive this in a Panzer Division would be rear area troops and officers. The only men typically to get the 1st class would be rear area officers. The 1st class is rarer than the Iron Cross 1st class in 2nd Panzer. If any of us receive these medals they should not be worn in the field because they are not the medals of combat troops. This will be awarded for recruiting new members, making things, organizing, research, etc. Awarded for a single act of bravery in combat beyond the fulfillment of normal duty. Twelve battles plus one act of bravery that can occur any time from battle one to battle twelve and beyond. You will not receive the medal until the 12th battle or whenever after the 12th battle you perform your act of bravery. For an outstanding feat an exception could be made and the medal would be awarded before the 12th battle. The acts of bravery will be based on the original requirements and the stories of how the Germans actually earned them. Thirty-five battles and 3 to 5 acts of bravery. Only about one of these was awarded for every 10 Iron Crosses 2nd Class in 2nd Panzer. Awarded for single-handedly destroying a tank. This award is somewhat scarce, from the figures I have no more than about 35 tanks were destroyed in close combat in the month of June 1944 on the Weatern Front by any division. This number also includes kills by the Panzerschreck which do not count. Only one of us can wear this at a time. When another person earns it the first person has to give his badge up. Of course this first person can earn the badge again by taking out another tank. Awarded for fifteen days of close-in combat unsupported by armor. To qualify the enemy had to be close enough to see the whites of their eyes. I do not have any figures on how common this was in any unit. We will certify battles as close combat days, however we will not award this medal until we get more information. Our requirements so far: 15 close combat days, passing a close-combat course based on German manuals and ? More research is needed on this. This medal is as rare as the Knights Cross in 2nd Panzer. We will not award this medal. Only 32 were awarded in 2nd Panzer in WWII. This medal is rare, but not nearly as rare as the Knights Cross. We will not award this medal. Only 93 were ever awarded in 2nd Panzer in WWII. This is a rare medal that was very rarely awarded to men under the rank of Unteroffizier. We will not award this medal. Only 32 were ever awarded in 2nd Panzer in WWII. Your starting date is your first battle. This medal will be awarded but not worn. Klasse 25 years of reenacting. Klasse 18 years of reenacting. Klasse 12 years of reenacting. Klasse 4 years of reenacting. For Führer and Fatherland, Military Awards of the Third Reich, by John Angolia. Records of the IIa 2nd Panzer Division. Mitteilungsblatt of the 2nd Panzer Division. Handbook on German Military Forces 1945.